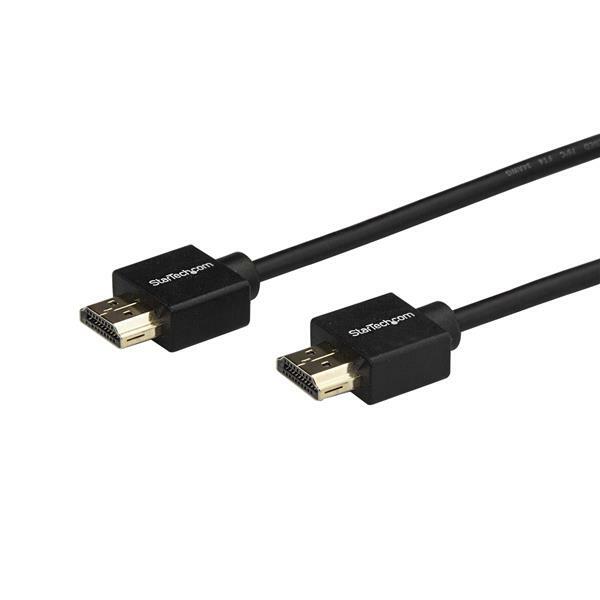 I have been using this cable for a few weeks to connect devices to my 4K TV. This cable comes in a box rather than a bag like other cables. The ends of the cables are fairly small and square without any rounded edges. 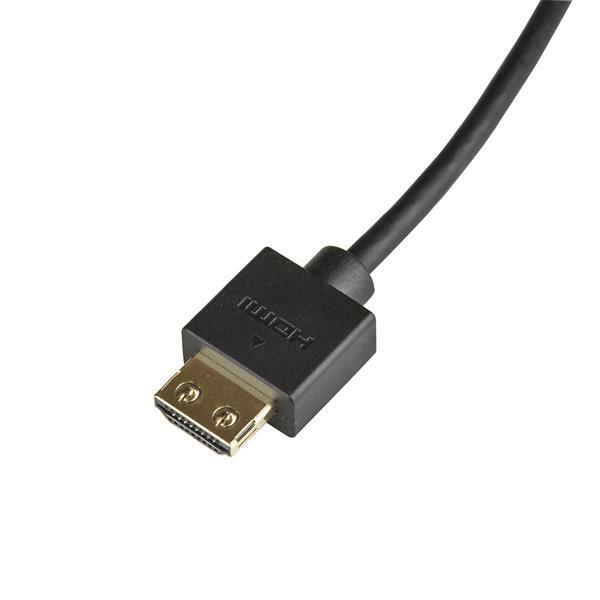 The cable is relatively thin, more like the thickness of a network cable than other thicker HDMI cables. The ends are "gripping" so they don't come out easily, but this also means that this cable is very hard to insert. I though I was going to break my TV with the amount of force required to insert this cable. Sometimes I think this cable is connected only to find out that I haven't pushed it all the way in because it was so tight. I am not sure what makes this cable "premium" other than small ends. 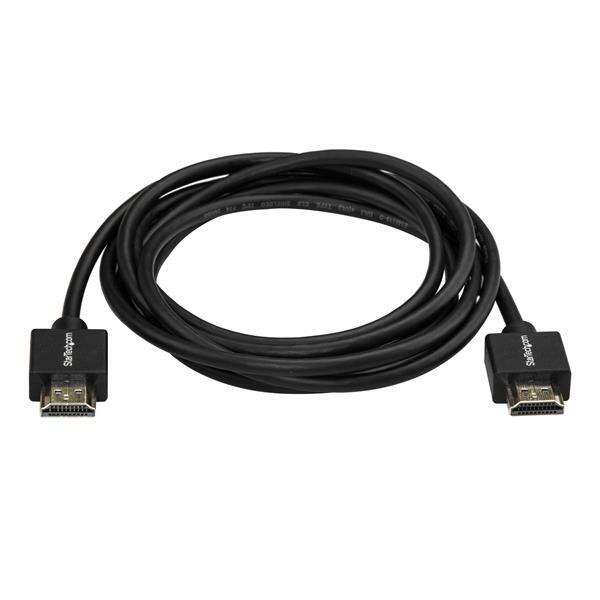 This cable worked quickly and can be used in tight spaces. I wish it had a locking mechanism rather than just tight friction to hold it in place. I received this product in exchange for an unbiased review. 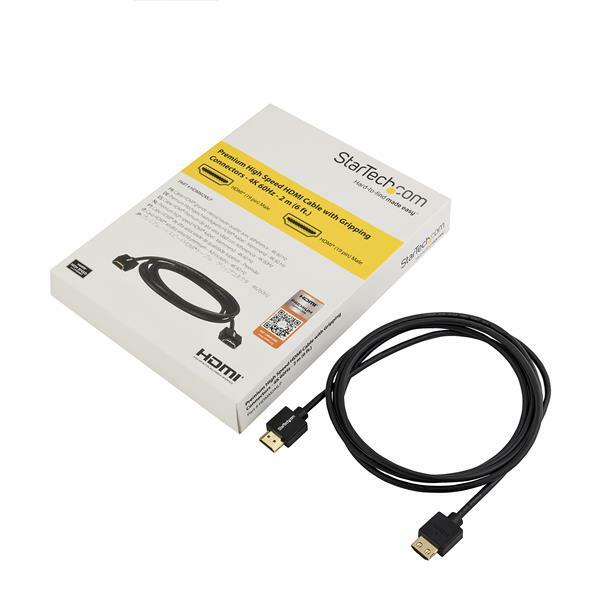 This HDMI cable is very well constructed. Plug it in to experience a very high resolution. I do like the thick shielded cable and the gripping connectors.